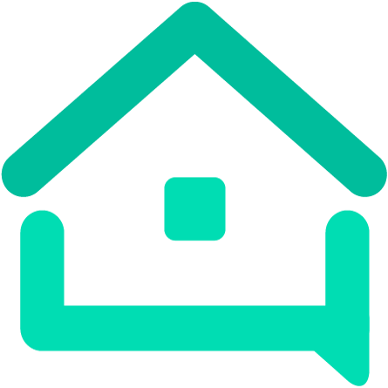 Turned off smart pricing, set base price, shows $15 less - Tools - We are your AirBnB hosts forum! Anyone else have the issue of getting a booking request that is arbitrarily lower than the price in the back end? For whatever reason, smart pricing keeps turning “on” for me. I’ve turned it off and set my base price weekly and my weekend prices (they haven’t changed, but I edited them to make sure they’re the same). I just got a booking for $15 less a night than my base price for the week and when I search for my listing, it shows the discounted rate that isn’t my rate. And it’s all correct in the back end. Smart pricing is off, still, and I can’t get it to change. Most of the rooms in my area are around my price (the lowest one is a clickbait - they have extra charges for everything), mine is about $5 lower on average, but still a good price. Fortunately we don’t have Smart Pricing here, just the ludicrous Price Tips, which fortunately are easy to ignore. Not to make this a thread about Smart Pricing but it’s working for me. I turned it on about 2 months ago at the same time I raised my base price an average of 15% a night. It has given me a n extra dollar or two several times and I just had a booking yesterday for two nights in June at another 15% higher than I would have set those prices on my own. I rarely get bookings that far in advance so I guess these are in demand dates and smart pricing worked for me. My rates are low so we are usually only talking a dollar or two above what I would set but it adds up over time. Great that it’s working for you. I rarely see anything other than criticism of it. The “price tips” we get are just stupid, no other word for them. I have lodged a call with CS and they’re baffled. Over the weekend friends in the area who rent out an entire home said they saw prices for their listing go all over the place. We figured it was the number of lookers hitting a browsing algorithm. But every time they looked, the price was different and the booking wasn’t adding up either. @KKC thanks, this isn’t really about smart pricing, but about Air bugs. I did have it on for a while and it didn’t really garner me any more money, especially on weekends, because my base price is pretty on-the-money for the market in my 'hood. So I thought I’d try to set the rules pricing and up the weekends by a few dollars and weekdays keep my base. I did that and then … bam! $15 less a night. I offer discounts for weekly stays after 7 nights and up to 28 days. If you look at my listing, it’s still showing the $15 less from my base price, but it’s changed the price on the new inquiry to reflect my real base. Plus she wanted an additional discount from the “wrong” price, which is substantially less than the rest of the listings in my area. Anyone else having pricing problems? which fortunately are easy to ignore. But they are good for a laugh. When they asked for feedback, I sent a response along those lines. only to receive a further"tip", 50% lower. In essence, subsidise guests who stay. I had done that on smart pricing, in different rules, etc. It is an Air bug and they’re trying to figure out why that happened and why the pricing calendars aren’t synching. Any chance it’s their lower price for a non-refundable booking and not smart pricing? @PitonView no, I checked. IDK what happened, but I had 2 support calls with a lovely CS rep, but it only resolved when I changed everything in both calendars - the “regular” one that shows up when you go to edit your listing and the “new” one where you can set all the rules. btw, your island is one of my faves. I was fortunate enough to visit the Pitons in 2015 when friends of mine did the ARC (Atlantic Rally for Cruisers) and spent 10 glorious days there. Can’t wait to go back, the island and the people are just wonderful! @casailinglady - Thanks for the nice words about St Lucia! My avatar is the view from our home (well, vacation home). We started visiting in 2005 and ended up buying a house there for just the reasons you love it there. I’m not sure what you mean by the “new” one [calendar] where you set all the rules". Is that where you set the Smart Pricing rules? You’re welcome. It’s just an amazing island! I need to go back… The calendar is the one that helps you manage multiple listings and create rule sets. I had used that and the calendar under the listings tab and had to change both in order to get the price back. I’m good now!